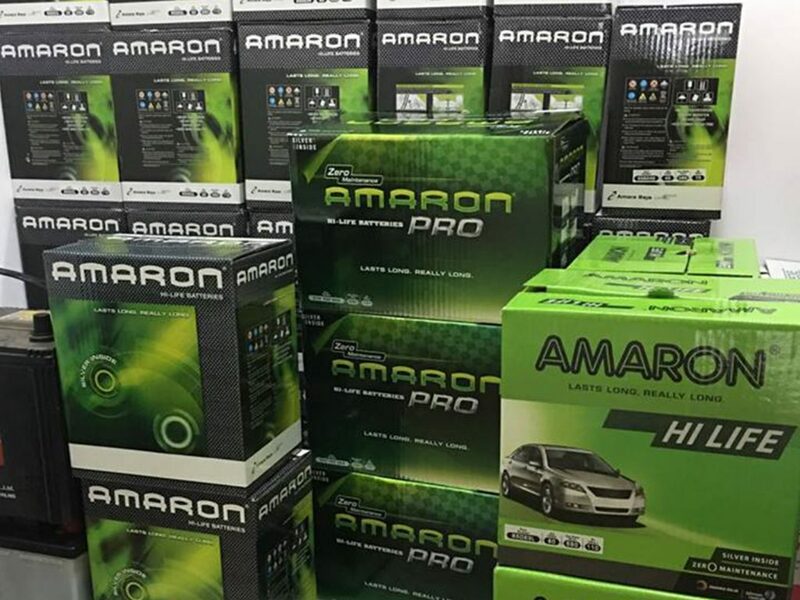 AAP prefers AMARON, HOPPECKE & BOSCH Car Batteries for Reliability. 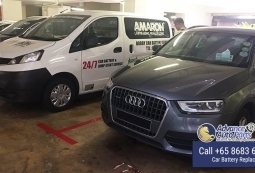 AMARON, HOPPECKE & BOSCH are our preferred car battery brands for their true reliability on the roads. Our battery change service is inclusive of a NEW car battery with 1-year warranty, onsite replacement fee and diagnostic tests. 5-star mechanic Bobby Ng has joined our team at AAP! Call now for a quick phone consultation to know whether yours is a battery problem. The major cause of vehicle breakdowns are usually due to batteries. Are you looking for an emergency mobile car battery service? Or do you suspect that your car’s battery is running out of life, and looking for a change? If your answer is yes, welcome to AAP Car Battery Replacement Services. We are a leading team of emergency mobile car battery replacement service with years of experience in the industry. We provide specialized high-quality battery installation and replacement services and our reliability makes us a highly recommended service provider, and we will have you up and running again in no time. Car Battery dead this morning. 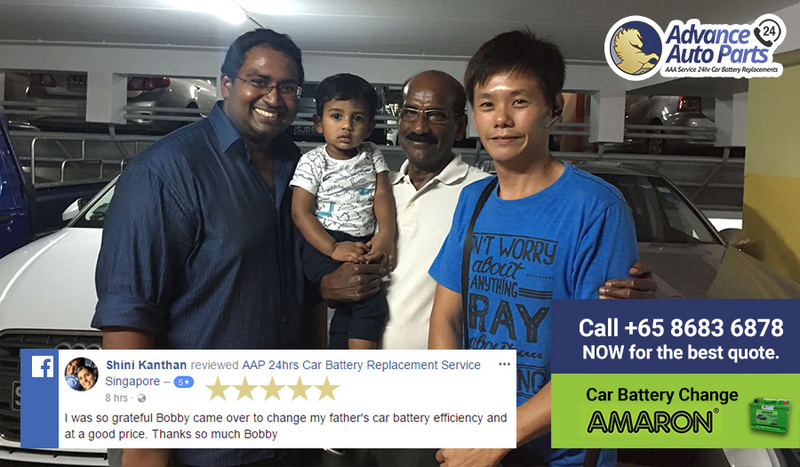 Called AAP, confirmed price, T&Cs, Bobby was onsite about 30mins later get the job done to replace the battery. Bobby is prompt and friendly. Knows his stuff and care to share his knowledge. Highly recommended to use AAP service. Cheers, Leow. AAP Car Battery is proud to have many delighted and happy customers. We offer 24 hours onsite emergency roadside recovery at cheap / best prices in the market. 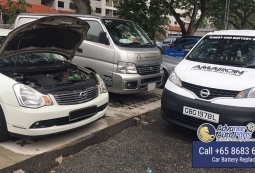 We have mechanics stationed around the Singapore island and we can react and attend to your car battery problem quickly. Give us a call at our hotline (Mobile: 8683 6878) and our friendly customer services specialist and roadside rescue services team will dispatch the nearest mechanics to you immediately. 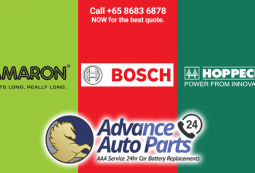 We use BOSCH, AMARON and HOPPECKE car batteries for our customers, the most reliable car battery brands in town. One example is the Start-Stop Engine Technology (EFB Batteries) and their premium SILVEN X technology is well known for low corrosion and low maintenance. Our batteries are available in many different types of outputs which fit all types of mobile vehicles, vans and lorries. 5-star mechanic Bobby Ng has joined our team at AAP! Call now for a quick phone consultation to know whether yours is a battery problem, and need fast roadside assistance. Our professional mechanics are trained and certified in providing the best car battery replacement services for all Japanese, Korean and Continental cars. Our friendly mechanics are polite and love to share their practical maintenance tips with you in English, Malay and local dialects. 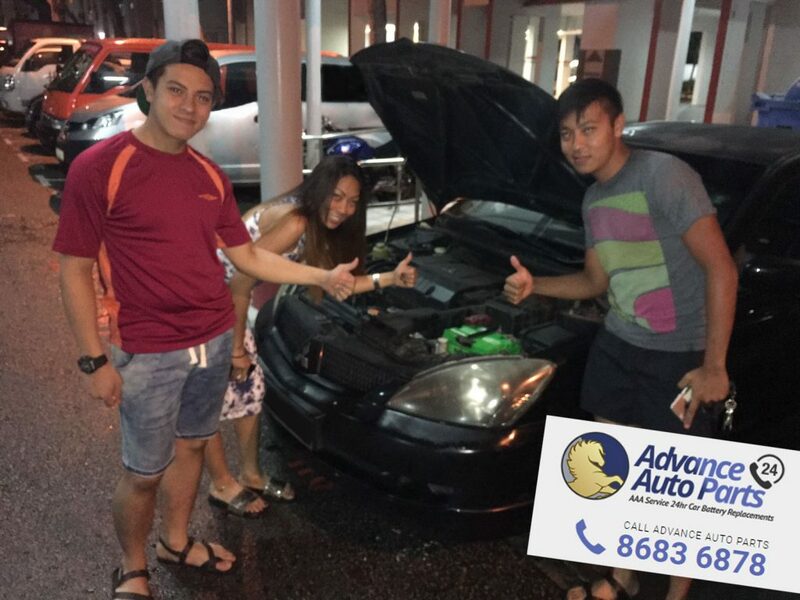 Take a look at all the awesome customers feedbacks and ratings on our AAP Facebook page, Twitter fans page and Google business listing page, it is not hard to notice that all AAP customers are happy and relieved to choose AAP as their car battery change specialist and emergency roadside assistance expert. Whatever time of day or night your battery fails and you need to change your car battery, we are readily available to assist with the battery installation for you. We have a fully functional customer service team waiting for your call. Wherever you are, our response team will give you the estimated-time-of-arrival (ETA) and immediately start on its way for the emergency battery replacement. We bring along fresh batteries to make sure you are not stuck on the road again. Prevention is better than cure. Don’t want to your car battery to go flat on you, when it matters most? Then schedule a car battery change with us for your car batteries every 18 months. This will potentially save you a lot of trouble, especially if your car battery goes flat when you’re on your way to an important meeting or date. Replacing your car battery before it dies, is also safety for your family and loved ones.